So I get to work with Sheila Coppola at Sidereal Press to make a suite of etchings. She has this amazing new shop in Tukwila. 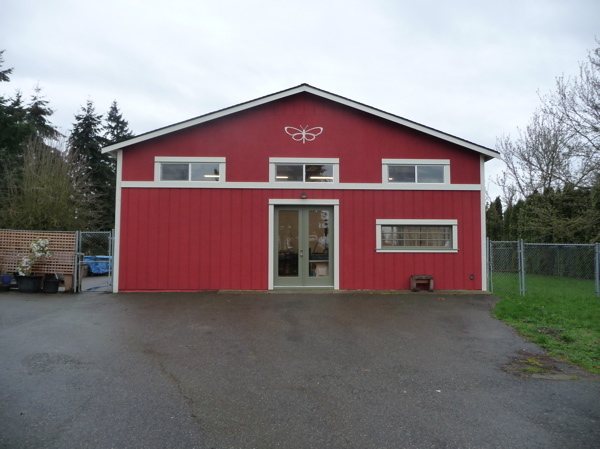 Sidereal Press' new digs in Tukwila. This place is very spacious! I’m a wee bit jealous at this point. Great light, high ceilings, elbow room. Studio envy? The lovely proprietress, Sheila Coppola! I can’t wait until next week – perhaps by then we’ll have pulled a proof. I’ll have evidence that I’ve been productive. In the meantime I leave you to contemplate the Putz!